We are owned and operated by Frying Pan Anglers of Basalt Colorado. Consequently we are able to offer you a discount on your room rate if you take a guide trip with Frying Pan Anglers. So check the rates below and note the discounts available in the event that you do take a guide trip while you are staying with us. We do suggest that if you are unfamiliar with our area and want to maximize your enjoyment while fishing, the engagement of a guide will enhance your experience. The guide can introduce you to areas you might not otherwise find as well as alerting you to the habits of the fish in our valley. In addition, consider floating some of our rivers with our guides if you have not previously done so. We will be having 2 seasons. Please Note: the discount requires 1 full day guide trip (either a wade or a float) to be taken for each 5 days one in is staying in the Cabins or house as the case may be. Off-season will be from the 1st October through to the 30th June. The guide trip will be a minimum of a single person full day wade or a full day float. High-season will be from the 1st of July through to the 30th September. The guide trip will be a minimum of a single person full day wade or a full-day float. Deposit Policy and Cancellation policies. A booking deposit of $100 will be payable for all bookings for cabins. The house deposit will be $200. Please note our cancellation policy below requiring 28 days notice otherwise you will be liable for the full rate with a refund being applied to you in the event that the cabin can be re-let for the period in respect of which you cancelled. If however you book more than one cabin, the cancellation policy will apply requiring 40 days notice. 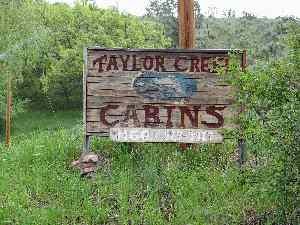 We have had a number of occasions where several cabins have been booked in anticipation of a group coming out but before the numbers are confirmed. Inevitably the group has reduced and a cabin has remained empty. If you want to bring your dog, that is fine provided there is only one dog and it is not too big or dangerous. If your dog is marginally bigger than a squirrel, please discuss it with us in advance. It is also extremely important that your dog is under control and well behaved. In the last year we have an instance of people saying their dog was well behaved. That was until it attacked another dog and tried to eat it. We had someone leave a dog unattended in the cabin. That did not work out well. It broke a window getting out and was last seen running down the road after traffic. Another person left a dog alone in a cabin and it howled for hours disturbing the neighbors. So there are a number of things to consider if you want to bring your dog. In addition, there is an additional daily charge of $20 per dog per day. Please refer to our terms for all information relevant to staying at the cabins. Where bookings are cancelled within 28 days of the arrival date you will be liable to pay for the whole booking. However if we are able to book the cabin or house to another person the amount payable by you on cancellation will be reduced by the amount received for the rebooking. This also applies in the case of multiple bookings of cabins and/or the house and you cancel one of the cabins or the house but continue with the other booking. for Basalt Lodging on the Frying Pan River. Colorado Fly Fishing Guide School. Frying Pan River Lodge for Basalt Lodging.